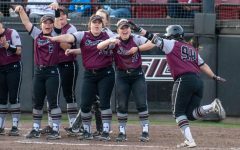 The Saluki softball team got off to a good start in the Gamecock Invitational Friday afternoon, handing the Mercer Bears (4-1) the first loss of the season. 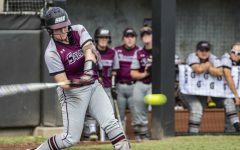 Sophomore catcher Katelyn Massa got things going for SIU in the top of the first inning, as she blasted a solo home run. Massa finished 2-3 with two RBI and worked a walk in the game. 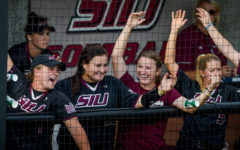 In the second inning, freshman center fielder Jenny Jansen belted another solo shot for SIU. Later in the inning, sophomore right fielder Susie Baranski scored senior shortstop Savannah Fisher on a sacrifice fly. 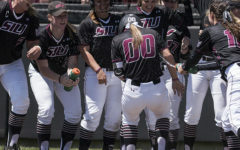 The lead continued to grow in the top of the third inning when junior first baseman Kyleigh Decker hit a two-run homer that pushed the lead to 5-0. 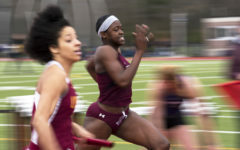 Junior pitcher Briana Jones allowed her only run in the bottom of the third after an RBI single. 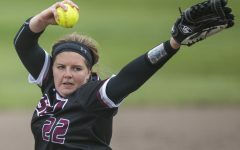 Jones pitched a complete game with one walk and a season-high of 10 strikeouts. Massa delivered another RBI double in the fourth, which scored sophomore second baseman Maddy Vermejan. Vermejan went 1-3 from the plate and was hit by a pitch in the game. Southern (3-2) continues play in the Gamecock Invitational with a doubleheader on Saturday. 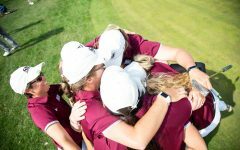 SIU will face Georgetown at 2 p.m. and South Carolina at 4:30 p.m.
To stay up to date with all your SIU sports news, follow the Daily Egyptian on Facebook and Twitter.